Kindra is a Registered Dietitian. She received her Bachelor’s of Science Degree in Nutritional Science from California Polytechnic State University at San Luis Obispo and her Master’s of Science Degree in Nutrition from the University of Utah in Salt Lake City. 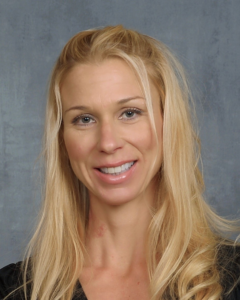 Kindra has almost 20 years of experience working in Healthcare and Nutrition and over ten years of teaching experience, specializing in courses related to nutrition, health, and wellness at the University level. She previously worked at a cancer center in Chicago, Illinois. Kindra has presented at numerous conferences, symposiums, seminars, community wellness events, and health fairs. Kindra also has extensive experience working in long-term care and the acute hospital setting. Kindra is a member of the Academy of Nutrition and Dietetics and a member of the Oncology Nutrition Dietetic Practice Group. Brenda is originally from Los Angeles, CA where she attended California State University Los Angeles for her undergraduate degree in Nutritional Science. She began her career with Kaiser Permanente in 2004. Throughout her professional development, she has worked in Cardiology, including open heart, Renal, including dialysis, organ transplants, and Oncology, including head and neck, radiation and chemotherapy. Within Kaiser Permanente, she specialized with intensive care pediatric and neonatal patients and was responsible for individualizing therapeutic diets based on specific metabolic needs, medical conditions, and cultural preferences. Her passion for nutrition was developed at a young age and reared by her grandmother who always instilled the importance of a healthy diet and active lifestyle. When her grandmother became ill, Brenda became interested in the impact nutrition played on health ailments and was determined to help her quality of life. Brenda then realized that her calling was to help others understand the impact nutrition plays in disease prevention and for maintaining overall mind and body health. She cared for her grandmother until she passed and has made it her goal to help others achieve their full “nutrition potential” by using a culturally sensitive holistic approach. Brenda just recently relocated to AZ with her husband and two beautiful daughters. She enjoys spending time with her family doing outdoor activity, cooking, working out, yoga, cooking and reading mystery novels. Please ask your Ironwood Women’s Centers provider for a referral to see our dietary counselors. Copyright © 2019 Ironwood Women's Centers. All Rights Reserved.